When Mythical Games needed help to promote the launch of Blankos Block Party, we jumped at the chance to work with this talented team on its first game release. 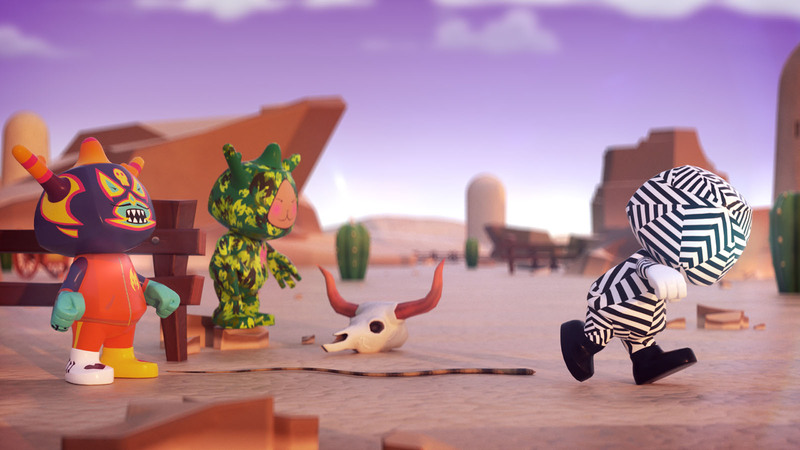 A next generation technology studio, Mythical Games asked Territory to come on board to support the release of its highly anticipated game, Blankos Block Party. Initially briefed to support the launch with a graphics package that included in-game look-dev, a short teaser and print and digital campaign assets, we were also asked to create the first Blankos Block Party trailer to support its 2019 release. 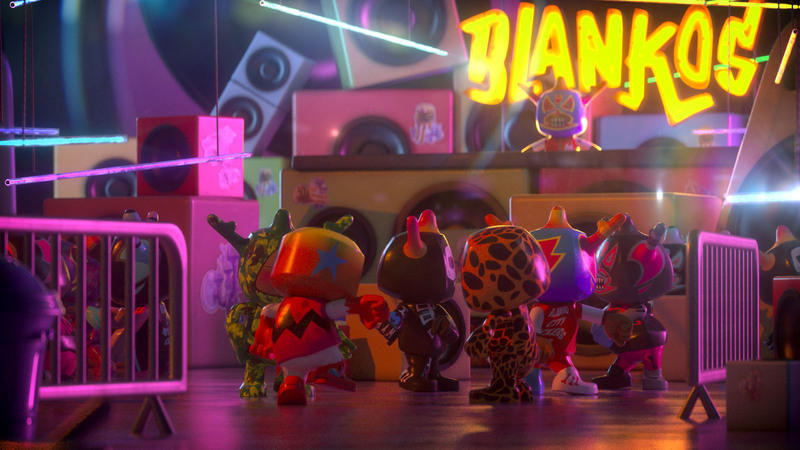 Working in close collaboration with the Mythical team, we created an entertaining animation that introduced the fun and mischievous Blankos characters. Designed to let players create their own gameplay, customise and share their Blankos and build their own worlds where they can invite friends over to have a good time, this is an ambitious new gaming format. Building the story around Mythical's three main game pillars, we devised a script and storyboard that promoted the unique features of the game. 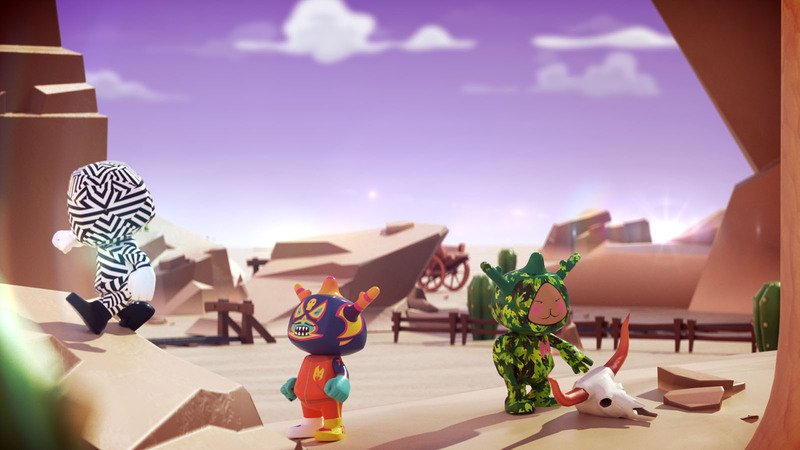 Segmented into three parts, the trailer focuses on a world in which the player can collect and customise Blankos and create unique environments with bespoke gameplay. 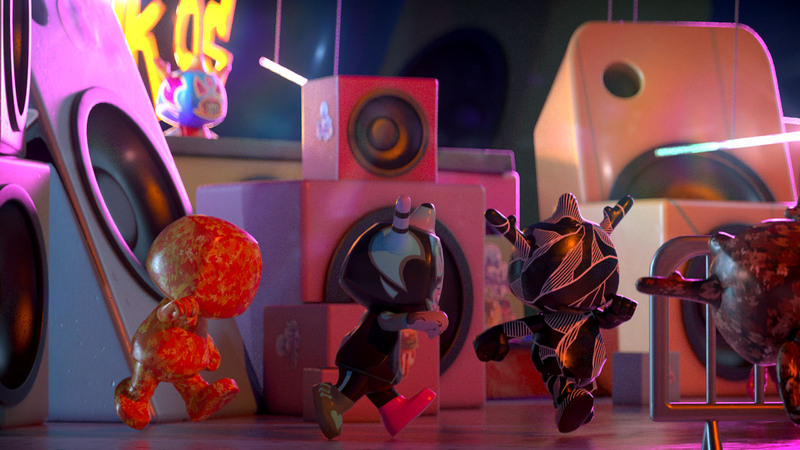 Blending humour and action, our team animated, modelled, rendered and composited the final trailer, which aligned with the Blankos Block Party event at SXSW Gaming Festival 2019. When you begin to create a new world full of characters who are themselves characterful, you need to have a team of creators who are all aligned along the same vision that you have. The folks at Territory are that team! They completely understood what I wanted to create from the very first call we had. From a shared sketch and 3D model of our Blankos they became a value add to the creative process, it wasn’t just about making an asset, it was a relationship that made the vision complete and breathed life into our world. My goal in the creative process is to not have multiple teams create a project separately, but for all the people we work with to become part of our global team. The guys and Territory feel like part of us. And it shows in what we have created together.